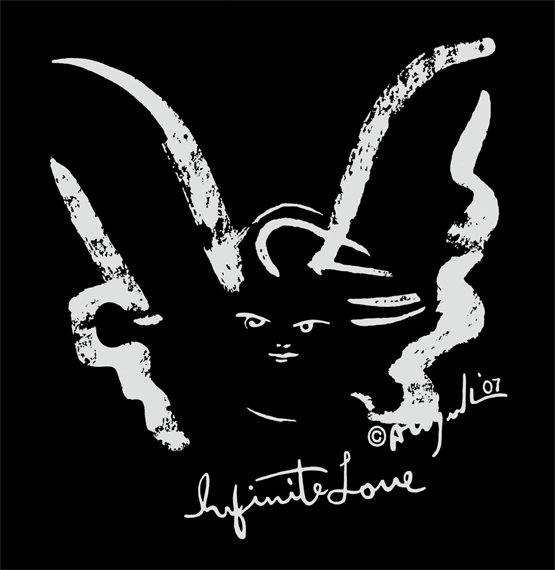 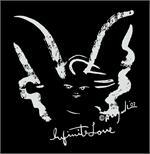 White Infinite Love Angel design by Anjuli on front. 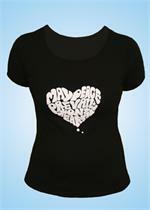 Peace Message on back. 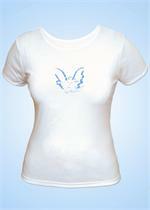 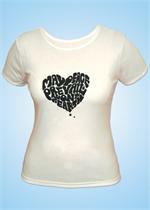 100% combed cotton women's fit T shirt. 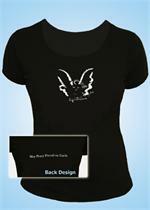 Shell sleeves.